I’m Irvin. 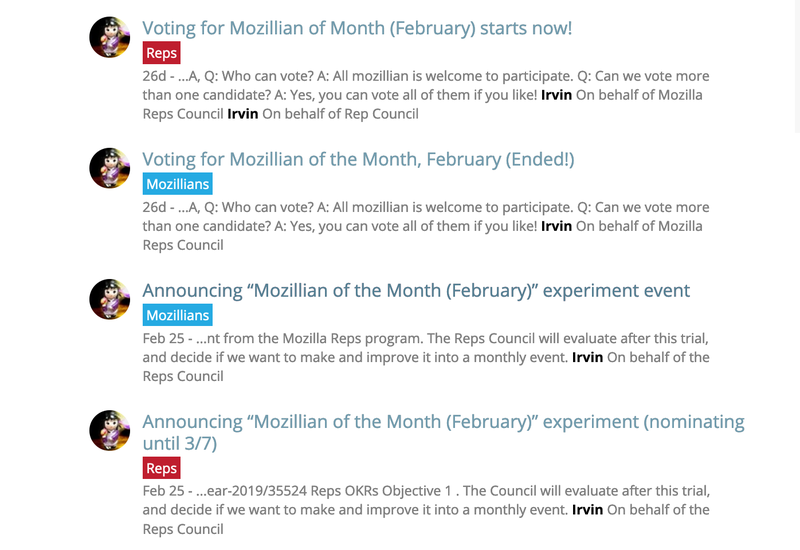 Last April, I had [shared my idea about how Mozilla Rep program can become](https://medium.com/mozilla-related/vote-for-irvin-to-rep-council-ccdef99c28d1), when I ran for the council election, and been selected as one of the Council member with your support. After one year’s Council member period, I would like to conclude what had I done, and re-check what I was think in this article. We can fix the problem, by making Rep not only Representative of Mozilla, but also the representative of Mozillians. We can become the bridge between the volunteers and paid-staff. We can help volunteers to be heard and understood. I know we are not there yet, but I also feel that we did had some progress with the evolve of Mission Driven Mozillian strategy, and Mozillian of the Month experiment. I need your support, to help me continue my work. Please vote for me again in the next Rep Council elections, start from April 8 to April 15. …I can post far more on Discourse if you allowed me to.